Rahul Mathur is the founder and Managing director of the ARKA Softwares & Outsourcing Pvt. Ltd. He has been in the IT industry for more than 10 years with a specialization in .Net. Apart from successfully playing his part in a leading software development company, he is an avid reader and writer of technology related articles and blogs. 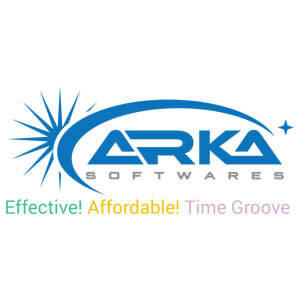 ARKA Softwares – a top-notch outsourcing company that has been offering IT consulting and support services globally. Established 7 years back, ARKA was founded with the aim to offer best IT services to organizations that either cannot afford to hire an in-house IT team or are not willing to do so.  And today, ARKA has enlisted itself among the top Mobile app development companies. This amazing progress in such a short time is the resultant of superior work quality, consistency in performance, and dedicated commitments. We have a long list of satisfied clients around the world who are now pleased to avail our services. By providing dynamic and outstanding software solutions across the country, we have now become the first choice of a huge clientele. With expert team having more than 5-7 years of experience in mobile application development we can proudly shout our uniqueness out loud. We are different in the way our team thinks, works, and brings out outputs. Our mobile app development team comprises only the self-motivated, competent professionals. Our team focus on quality and creativity rather than delivering the ‘same old crap’. We have expertise in creating complex native mobile apps as well as hybrid. Predicting Future technologies would help us to do something unique in those particular fields and would be a good way to drive the team and prepare them for that. A good leader should be a boss and a friend at the same time. As a leader, I am trying to enhance the quality of team discussions. Communication between the team and leader should be as much specific, efficient, and productive as it can be. Choosing the best platform for mobile app development is a most crucial step , so this field should be analyzed effectively. We keep in mind that the Quality of work shall not be compromised. There are various factors which we keep in mind while suggesting the platform to clients as the capabilities of one operating system may not be possible in another. So after detailed discussion and based on the requirement we provide the best solution to our clients. We are going to extend for sure as we want to keep up with the new technologies and competition. We are researching and started working on few of them like: Augmented reality, Artificial intelligence, IoT, Chatbot etc. New technologies are fairly approaching in each field of IT sector so we are optimizing new things for our future projects & our expert researcher are working for in-depth solutions. In order to keep up with the technologies and trends every business must try new & different methods so our expert researchers are working on it continuously. I assure you there is something big coming from our end this year. We understand the financial barriers and after a detailed go-through of client’s vision and recommendation we present an initial blueprint of the project. Our profound team of highly experienced developers dedicatedly put their efforts to convert clients vision into reality with high-performance immaculate products. We have option to hire our developer and designer in monthly basis and hourly basis. The cost of app depends on various parameters like platform of the app, quality of the app, number of screens, supported OS versions, features of the app etc. Being an IT Company, we focus on latest & upcoming technologies like Artificial Intelligence, Chatbot, AR/VR and IoT apps. These technologies will be future of IT industry and have lots of scope to enhance the business and industry. Currently we work on some of these like: AI, Chatbot and researching on others to have proper knowledge and enhance our wings successfully. We are currently working with Healthcare industries who are main users of AI. Our favourite Industry verticals in 2018 would be Medical and Automobiles as these industries are expanding in way of using technology. Also, crypto currency, iBeacons and IoT are at boom & we have already started to work on them & our team is continuously searching for new ideas . We provide lots of services in IT industry like mobile app development, website development, ROR development and Digital marketing etc; but if we choose one that specifies our operational area then we would mobile app development. As we are one of the best app development companies here, we offer ultimate solutions for mobile app development.